Let me start this day off by saying the only thing that would have made Tybee Island better would be if we have had more time! We didn’t have but 4 hours or so because this night was the formal awards banquet for Farmers Insurance. But Matt and I both agree that this day was just great. It really was a great day! 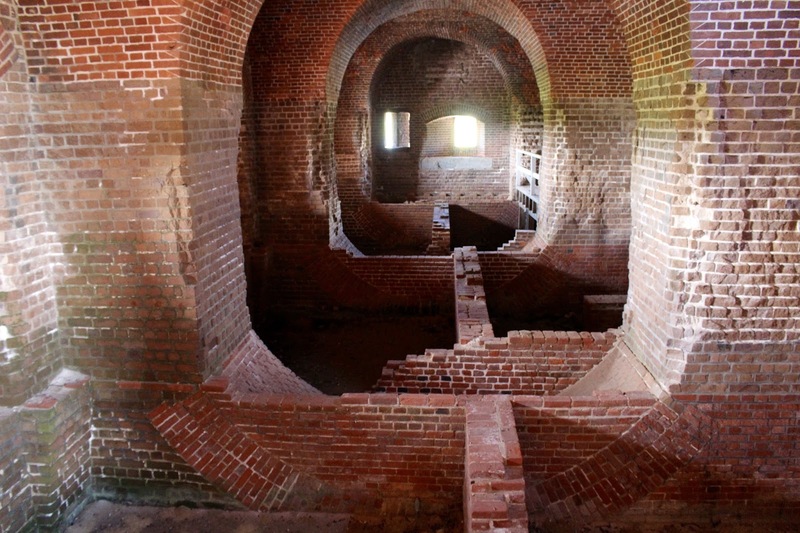 Our first stop was Fort Pulaski which opened in 1847!! 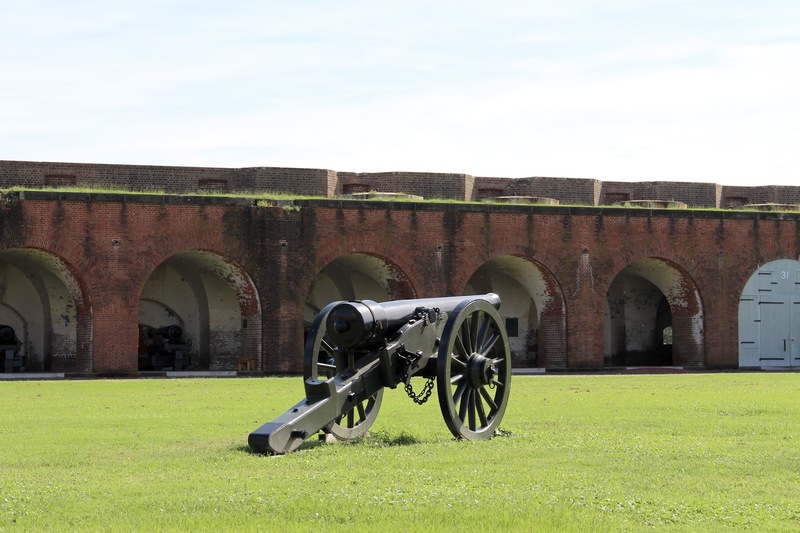 This fort saw battles during the Civil War and most people say that this location is very haunted today. The structure itself is incredible for the time but we also learned that it was built by slaves which sadly wasn’t surprising. So much of the Fort is as it was all those years ago and it is very eerie. We got there as soon as it opened so we were able to really be alone for most of our tour. This is the Fort Prison below and just imagine what all these walls have seen. And from what we saw and learned the prison living conditions were basically the same as the rest of the Soldiers living quarters… which were not very good. There is a moat around the entire fort and then it is surrounded was swamp-land and the ocean! But sadly this fort is currently closed it was very badly damaged by the hurricane and most of the fort it still under water. I can’t believe we were literally there 1 week before all this happened! 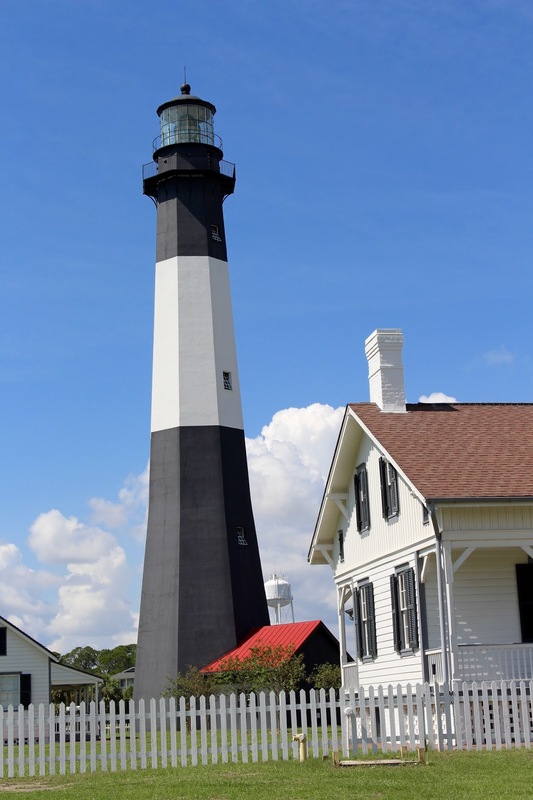 Next up we headed to the Historic Tybee Island Light House Museum which was CLOSED that day! wah wah! I was so sad, I have never been in a light house but we did get to marvel it from afar! 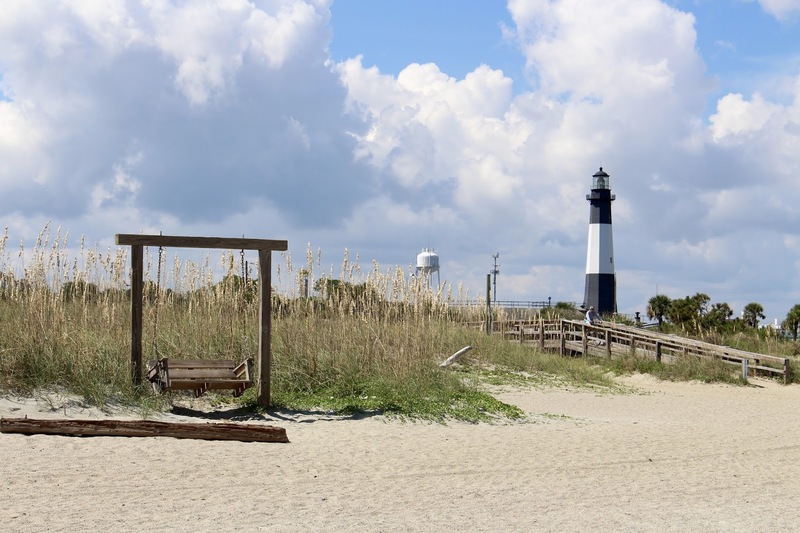 Tybee Island is so small and quaint and in fact this is where they filmed Dear John, The Last Song and next years Baywatch movie with the Rock! SO that was neat to imagine! I don’t get to see the ocean very often so I was beyond thrilled to get my feet in as Matt and I strolled along the shore line for a little bit! The homes lining the beach are so cute and we talked about how nice it would be to come back and rent a house here! I see why this place was used in so many movies because it really looks like a movie set…. GATORS! I saw real live GATORS! They didn’t move a muscle they were all literally in sun tan mode. We had lunch at the cute Crab Shack on Tybee that sits on the water and houses the Gators! This place was kitchy and fun and its true you can eat in your bare feet! After lunch we walked the cute boardwalk to the pier and had ice cream on the little main street before heading back to Savannah! 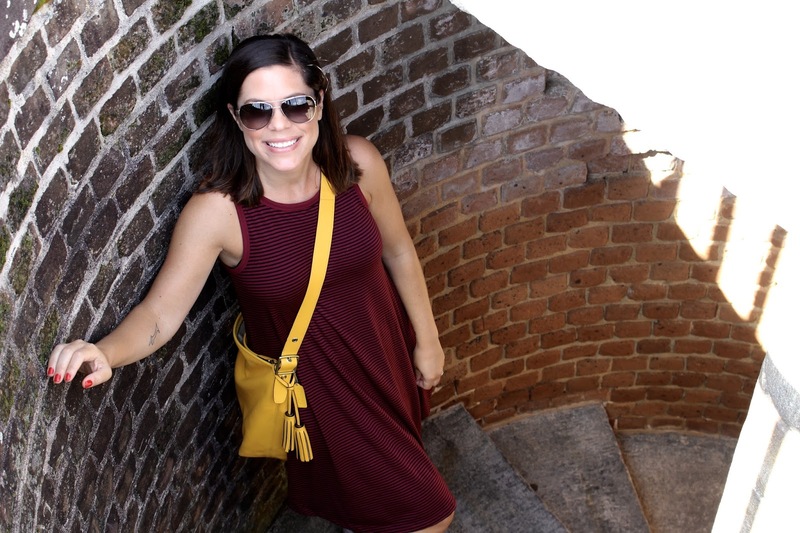 We both highly recommend Tybee Island! It seems like the perfect vacation destination and it is only 45 minutes from downtown Savannah!!! Love this location and more history! I will have to put it on my vacation spot bucket list. I have always been a beach girl but, don't like ones that are super crowded and full of high rise condos. This looks perfect! !You look like a model in that one picture, nice picture.Those are all great movies too.